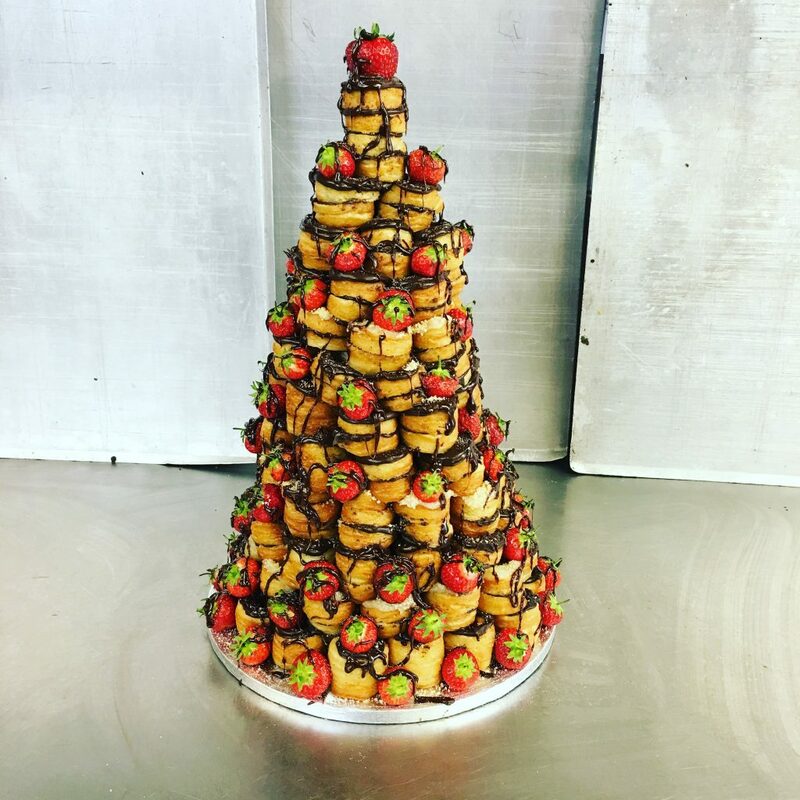 Our crodoughbouche is handmade using approximately 250 small crodough pieces. You can choose any of our crodough flavours to use on this magnificent show stopper. Great for weddings and events. Please note that the crodoughbouche has to be collected from our main bakery in Jubilee street and is best eaten on the day of collection.